So many things we find ourselves thankful for – our families, friends, students and instructors at the Glass School. Many of the artists here will also be spending the holiday season working the art shows December 2 – 8, 2013. If you are going to the art fairs at Art Basel / Art Miami – be sure to have a look at the new works by WGS artists! 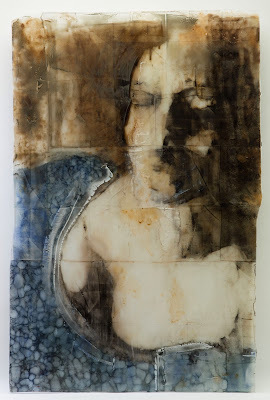 Audrey Wilson will be showing via Alida Anderson Art Projects at Context Art Miami in Wynwood (booth E-82). 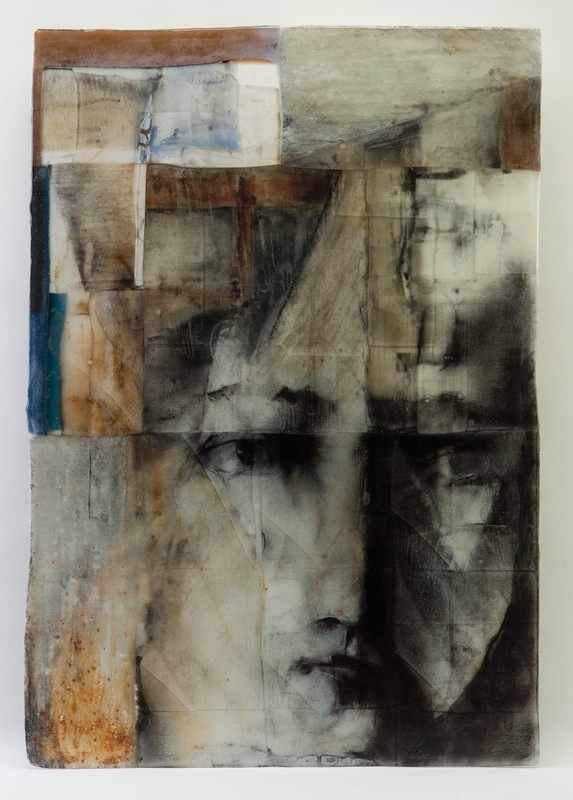 Tim Tate will be featured at Seager Gray Gallery at Context Art Miami. Nancy Donnelly returns from a trip to Istanbul; her works on exhibit at Foundry Gallery are up til Dec 1st! Erwin Timmers’ artwork is on exhibit in Baltimore’s Case[werx] Gallery in the show “Art & Function Delineated” thru Dec 21st. 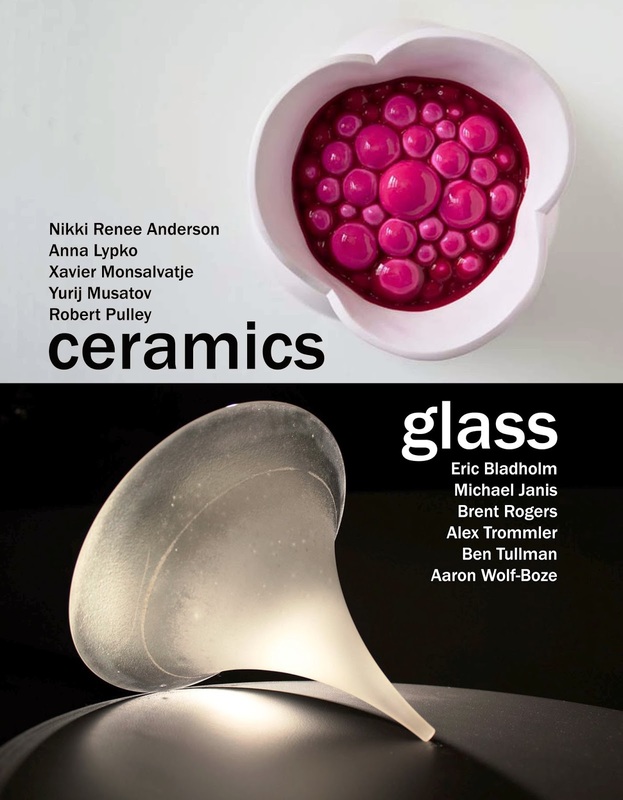 Michael Janis will be out to Chicago for set-up and the reception of the UIMA’s Ceramics/Glass exhibit. The show runs December 6 thru Feb 2, 2014. And let us all celebrate together! The Washington Glass School’s Annual Holiday Open House and Sale will be soon – Saturday December 14th, from Noon til 5. 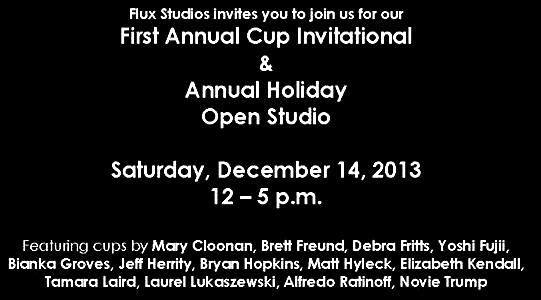 Next door Flux Studios will have their open studio and 1st Annual “Cups Invitational” – make a day of it! Wishing A Happy And Healthy Holiday to All! From All of Us at the Washington Glass School. 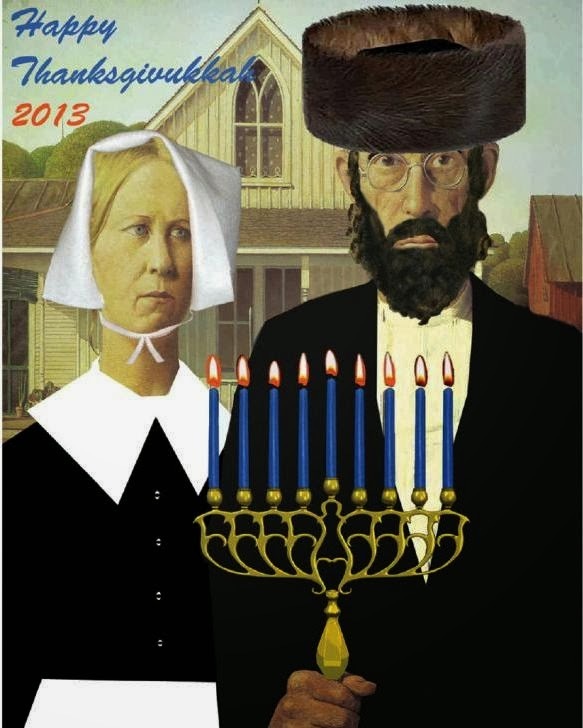 Nun, Gobble, Hay, Shin! On November 28, 2013, Thanksgiving and the first day of Hanukkah coincide for the first time ever – and for the last time for more than 70,000 years. 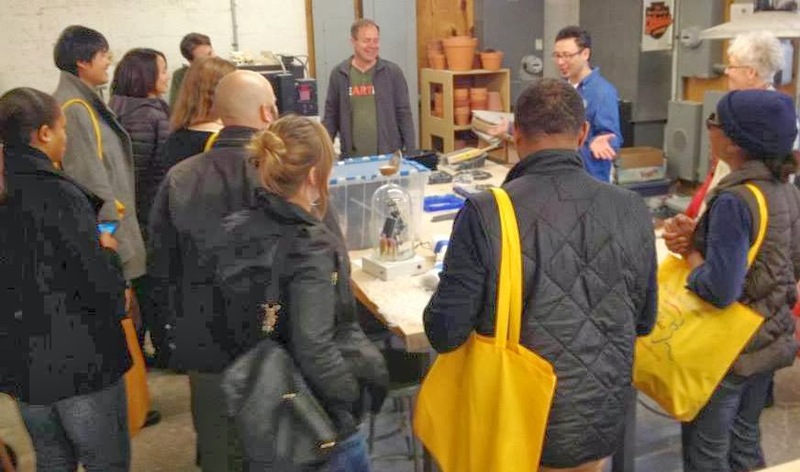 Save The Date – Washington Glass School Holiday Open House Dec 14th! 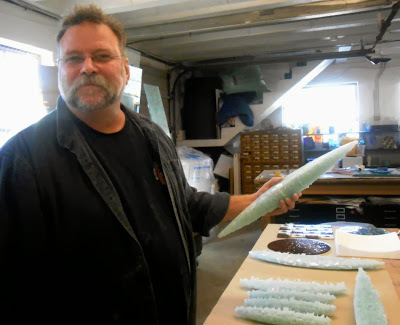 Artist Syl Mathis divests his glass forms from the plaster after kilncasting the glass. 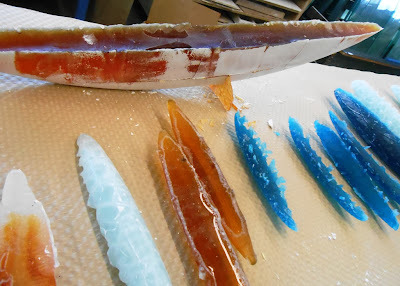 The artists & instructors of the Washington Glass School are busy beavering away creating new works for the upcoming Holiday Open House and sale, scheduled for Dec 14th, 2013, from Noon til 5:00 PM. 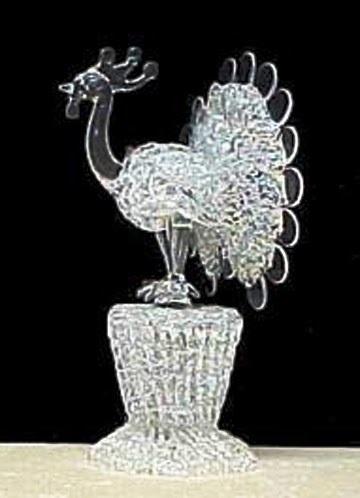 Syl Mathis is an award winning glass artist and sculptor. He is best known for his boat series of cast glass sculpture. Syl combines investment casting techniques, high pressure abrasive carving and cold-working techniques to create sculptural pieces in glass that often reflect stylized natural artifacts. Syl casts the forms and then sandcarves and coldworks his shapes. The December 14th open house has more in store! 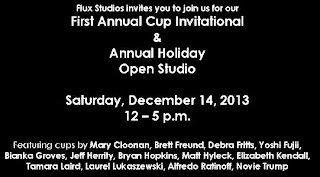 Adjacent Flux Studios also has their Open Studio, as well as their First Annual Cup Invitational! Must see works – by superstar artists – in some of most fun studios you will ever see! Mark your calendars at once! Erwin Timmers and Michael Janis talk process to the tour group. And laughter ensues. 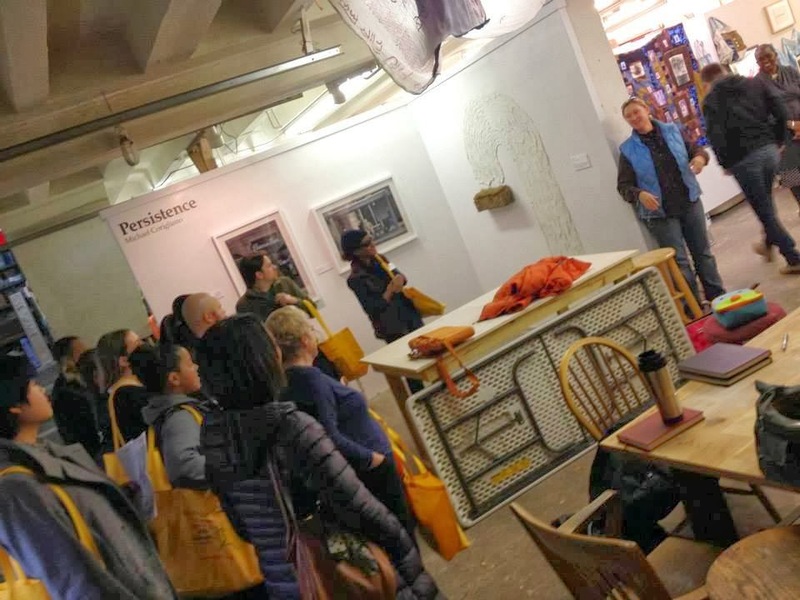 MCA‘s Emerging Arts Advocates held the second “CURATE MARYLAND” event this past weekend, with a tour of artist studios in the Gateway Arts District in Prince George’s County. 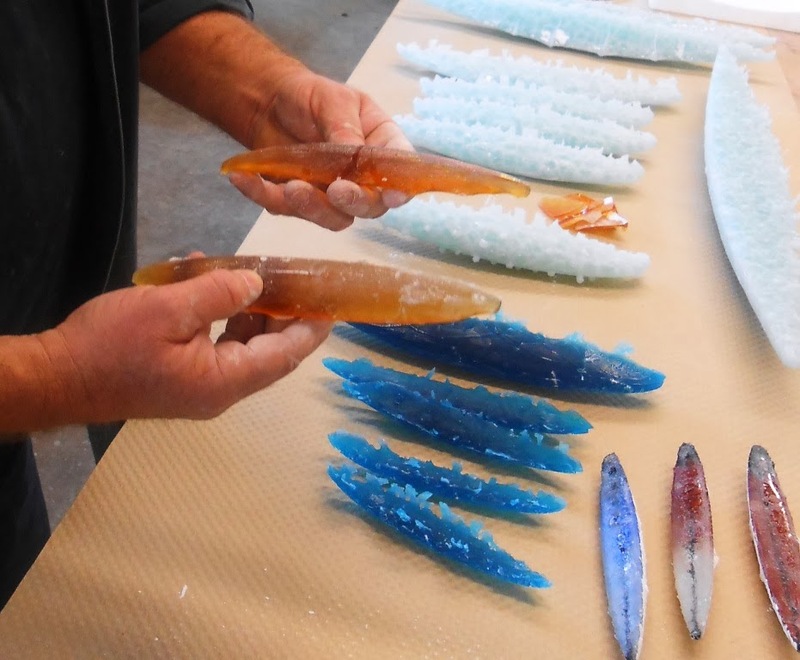 Some pics in this posting from the tour as they arrived at the Glass School, surrounding Red Dirt Studio and Flux Studio. Margaret Boozer talks to the group as they tour Red Dirt Studios. The tour group gets an insight to what compels the artist and their vision. 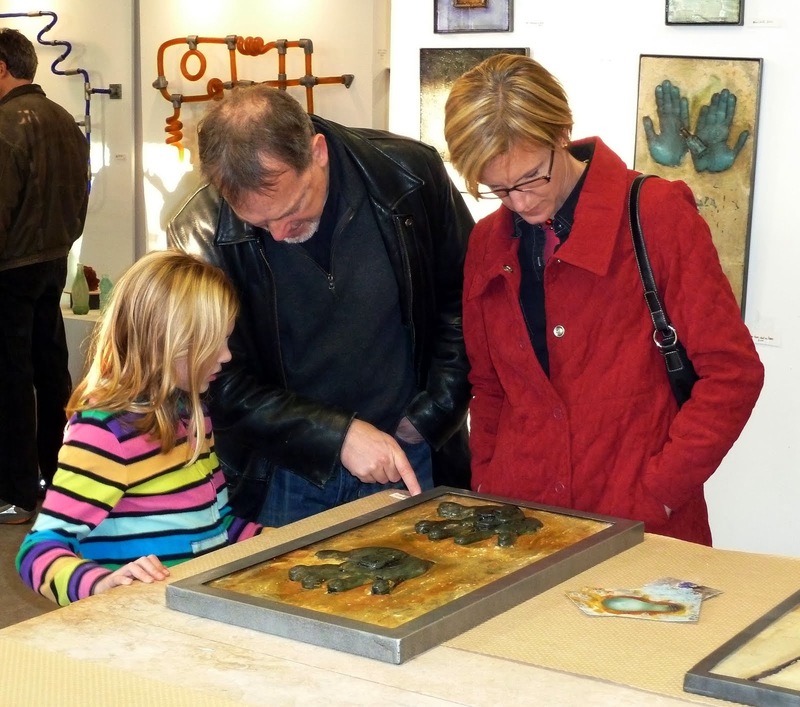 Curate Maryland visitors chat with the glass school artists. The happy campers continue on the tour of arts organizations. Y’all come back sometime! Chicago’s Ukrainian Institute of Modern Art (UIMA) will present an exhibition that focuses on the mediums of ceramic or glass in contemporary art. Titled “Ceramics / Glass” the UIMA has selected some distinctive and expressive glass and clay artwork that challenges the boundaries between the traditional categories of craft, art, and design. Glass artists Brent Rogers, Alex Trommler, Aaron Wolf-Boze and Eric Bladholm will showcase works from Chicago’s Ignite Glass and Chicago Glassworks Studios. 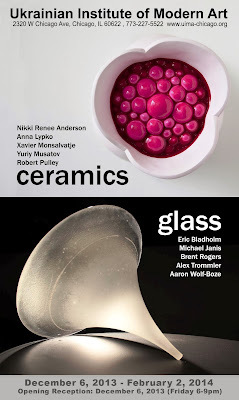 Nikki Renee Anderson, Robert Pulley are from Chicago Sculpture International and their works focus on the sculptural aspect of working with ceramics. 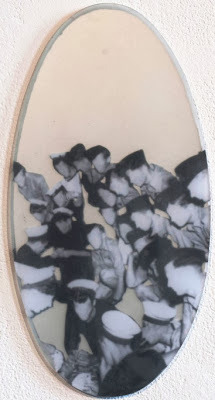 Michael Janis, a Chicago-born artist (now Co-Director of the Washington Glass School) will present his unique fused glass frit powder drawings. 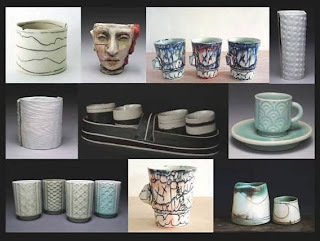 Xavier Monsalvatje lives in Spain and works in traditional ceramic techniques which reflect industrial aesthetic designs reminiscent of the works of Mexican Muralists. Yurij Musatov and Anna Lypko, both from Ukraine, are two contemporary artists working in ceramics. Click HERE to jump to the Facebook event listing of the opening. Our second profile in the “Artists To Watch” series is Jeff Wallin. Jeff has spent his life in the Pacific Northwest. He studied under Professor Keiko Hara at Whitman College, graduating in 1995 with a B.A. in Studio Art. Jeff continued to pursue drawing and painting after moving to Portland, OR. 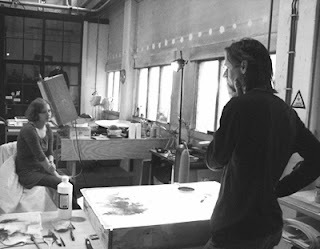 Jeff began working directly on glass using live models, eliminating the intermediary step of charcoal/conte drawings which he’d previously used, working directly with glass powders on a glass sheet surface. No preliminary drawings are used, no tests or experiments. Each new work is itself the test, the experiment, the first impression developed and pushed to a final form. 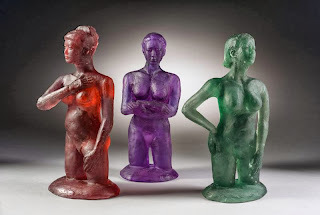 Jeff Wallin’s introduction to glass came in 1999 at Ray Ahlgren’s FireArt Glass studio, where Jeff continues to work, gaining new understandings in how to apply the challenging medium of glass to his ongoing exploration of the human form. 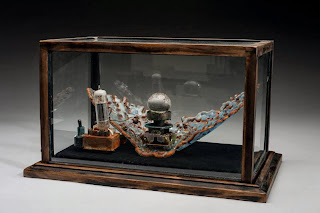 Jeff’s work has been reviewed in the Urban Glass Quarterly, and his work was selected for publication in the Corning New Glass Review. In 2013, he was a teaching assistant for Jessica Loughlin and Kirstie Rea at the Pilchuck School of Glass. 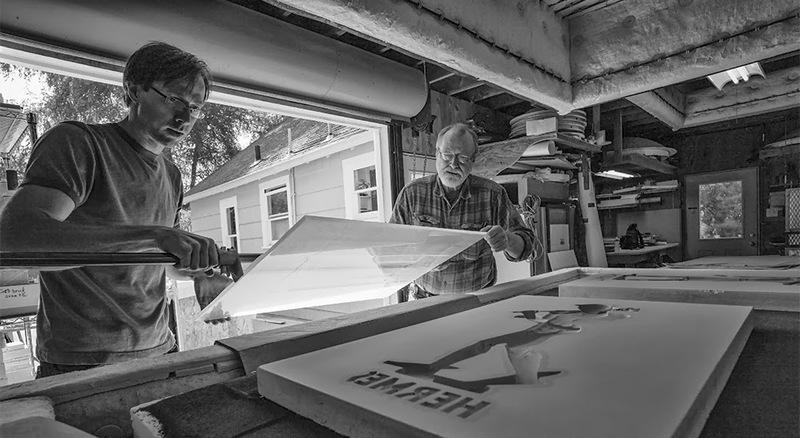 Jeff Wallin and Ray Ahlgren of FireArt Glass create the glass door panels for the US Library of Congress. Photo: Charlie Liebermann. Click HERE to jump to American Craft article on the historic architectural artwork project. Jeff Wallin, “Lucretia – After Rembrandt”, kilnformed glass. Photo: Michael Schmitt. 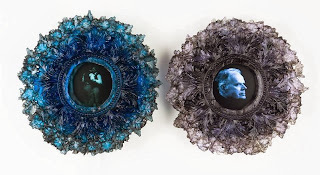 Taking inspiration from emotionally and psychologically complex figure painters such as Francis Bacon and Lucien Frued, Jeff’s portraits have the marks of a painter’s perspective and a painter’s intuition, the relaying of an idea by brush– all that expressed in the language of glass. 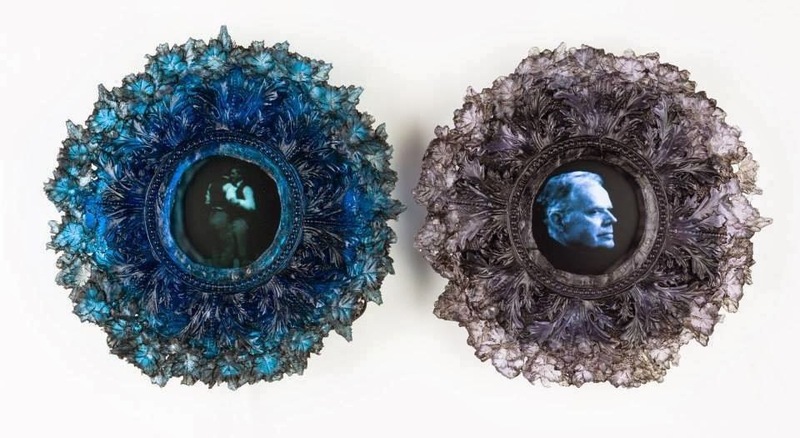 Jeff Wallin, “Judgement (Study from Gentileschi)”, kilnformed glass. Photo: Michael Schmitt. Jeff has a solo show that opens at Stewart Fine Art in Boca Raton, Florida that opens this week. Please join Baltimore’s Case[werks] Gallery for the November SHAG lecture “Historical Sources of Design Inspiration.”SHAG (The Society for History and Graphics) presents a monthly program in Baltimore to further the knowledge of the history of graphic design and illustration. Programs are free and open to anyone. 12 artists and designers featured in the exhibit “Product Lines: Art & Function Delineated” (Case[werks] Gallery current show) will discuss the historical sources that influenced their designs. 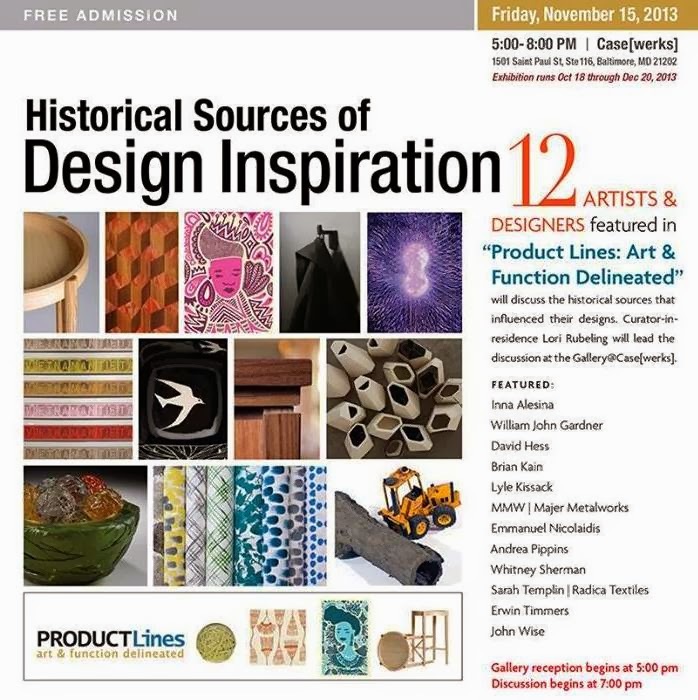 “Product Lines” exhibition featured artists are: Inna Alesina, William John Gardner Design Studio, Majer Metal Works, Emmanuel Nicolaidis, Andrea Pippins, Sarah Templinn /Radica Textiles, Whitney Sherman, David Hess, Brian Kain, Lyle Kissack, Erwin Timmers & John Wise. Lori Rubeling, Case[werks] curator-in-residence will lead the discussion. For more info – click HERE to jump to the Facebook event page for more details. 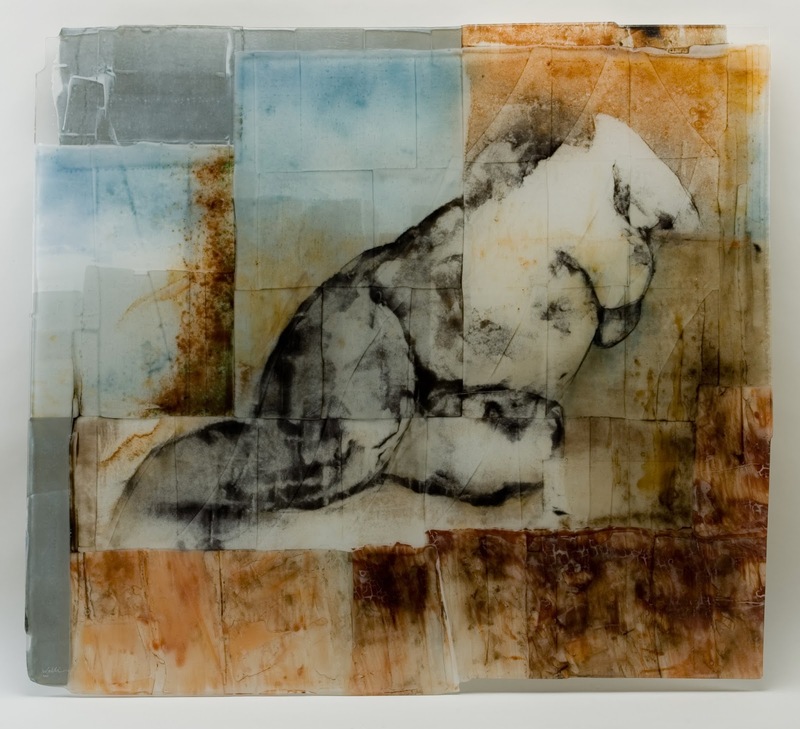 Above is from a series of works Melissa Kistler created during a class focused on imagery in glass at The Corning Museum of Glass in New York. In the new post-studio glass landscape, content driven artwork continues to evolve. Often people struggle to tell a story with their artwork, and as artists, work at connecting to the viewer with personal narratives integrated into their work. 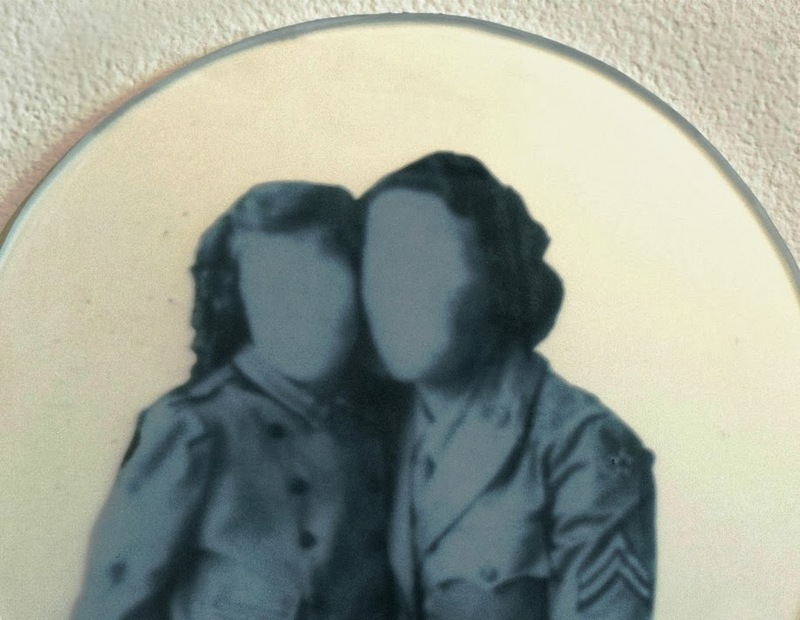 For this Veterans Day we feature one artist’s successful series that draws from her family story. Glass artist Melissa Kistler was born and raised in a small rural community in northeastern Pennsylvania. 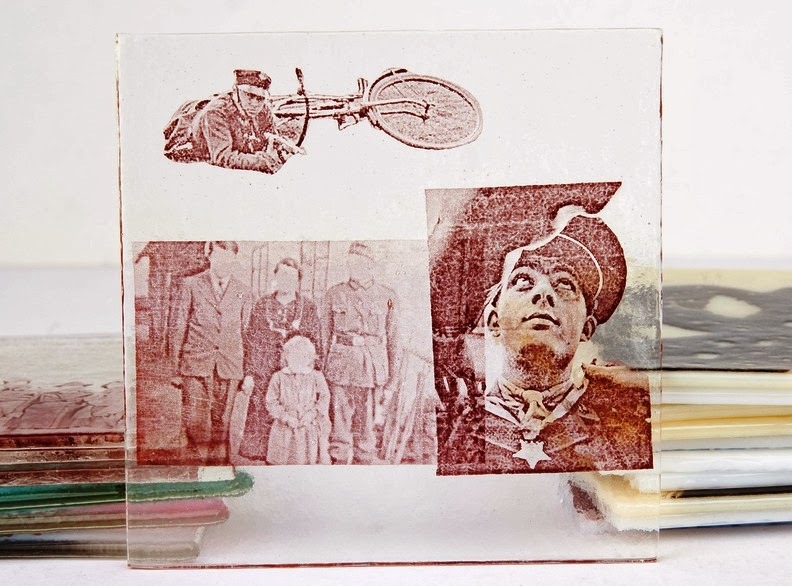 As the daughter of a Master Gunnery Sergeant of the Marine Corps, her work draws from the overlapping spheres of family, the military, and home. Utilizing nostalgic references to childhood and memory, she delves into the phenomena of collective identity and the fluidity of the self. Melissa’s work is informed by sociological studies of identity and the military and cultural representations of family and military membership. Melissa earned her Bachelor of Fine Arts Degree with a concentration in glass from Tyler School of Art at Temple University. She was a recipient of a Creative Arts, Research, and Scholarship Grant from Temple University and has continued her education at the Corning Museum of Glass in New York as a scholarship student. 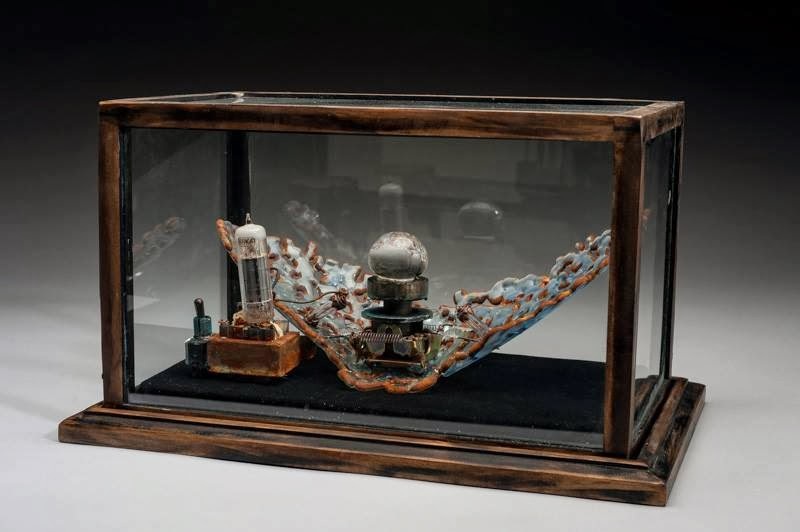 She has shown her work in numerous galleries nationally, and recently had her work included in the IGAA exhibit ” The GATHERING: Contemporary Glass from the Heartland,” which opened Oct. 19 at the Indiana University Kokomo Art Gallery. 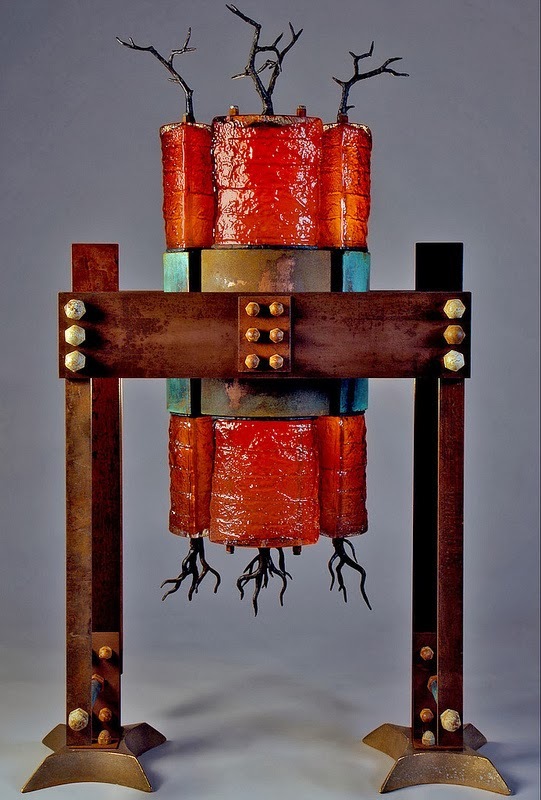 Melissa currently resides in Indianapolis, Indiana, where she continues her work. – a new series of “on the ground” experiences designed to highlight and promote the arts in cities and towns from across the state of Maryland. There will also be a boxed lunch with networking and dialogue. 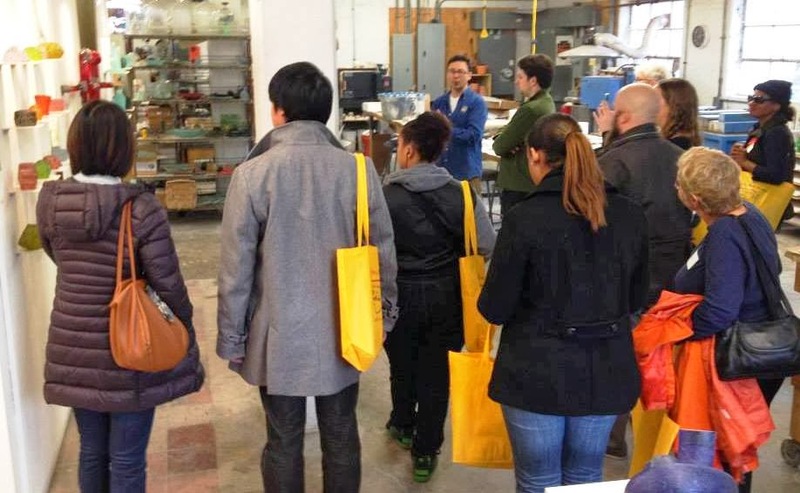 Bring a friend and come enjoy the company of other Marylanders as we “day trip” to explore the Gateway Arts District in Prince George’s Co., together. Follow your sense of adventure and curiosity about the art and people in another part of the state! 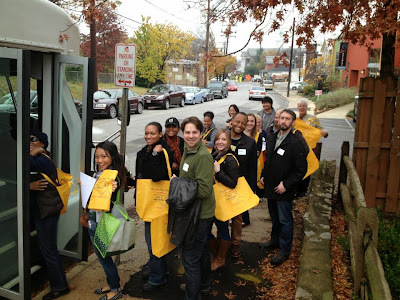 Curate MD allows for regional exchange, celebration of the arts and dialogue. We can learn from what other artists, arts enthusiasts and arts professionals are doing. We can take best practices, new contacts and inspirations back home! There is a $10 registration fee which includes lunch! Go to our Curate Maryland page for registration instructions HERE. * Let us know about any dietary restrictions or preferences.